Spring Blossom Journey: A little craft for your Aussie day!! 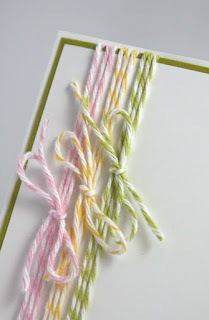 Check out my post at The Stamp Spot today with 2 fun quick and easy Back to School projects! 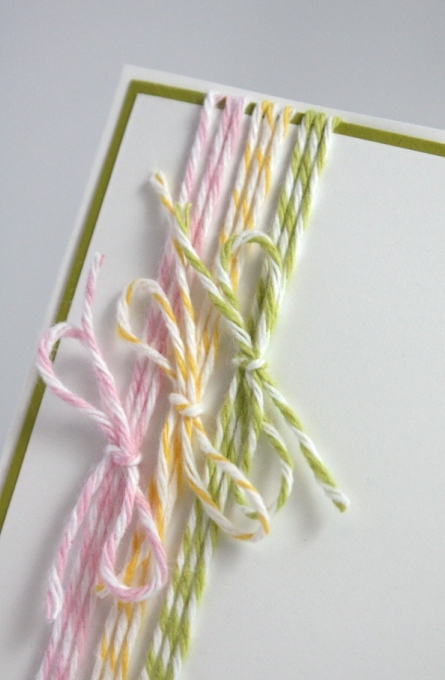 Here is a little peak - just love bakers twine!!! If you've got time to craft today the two projects I've shown at the Stamp Spot can easily be whipped up. Speaking of 'whipping up' I've just popped my very first, from scratch pavlova in the oven.... fingers crossed it turns out ok.
How Aussie of you to be makiing Pavlova today - bet it turned out just fine. Love the card with the twine but really like the crossword notebook with Keep Out. Great idea for 10yo girls birthdays this year. I love the card and the notebook! Great ideas! Make sure you post a photo of your fabulous pavlova, Trish, I'm sure it turned out awesome!